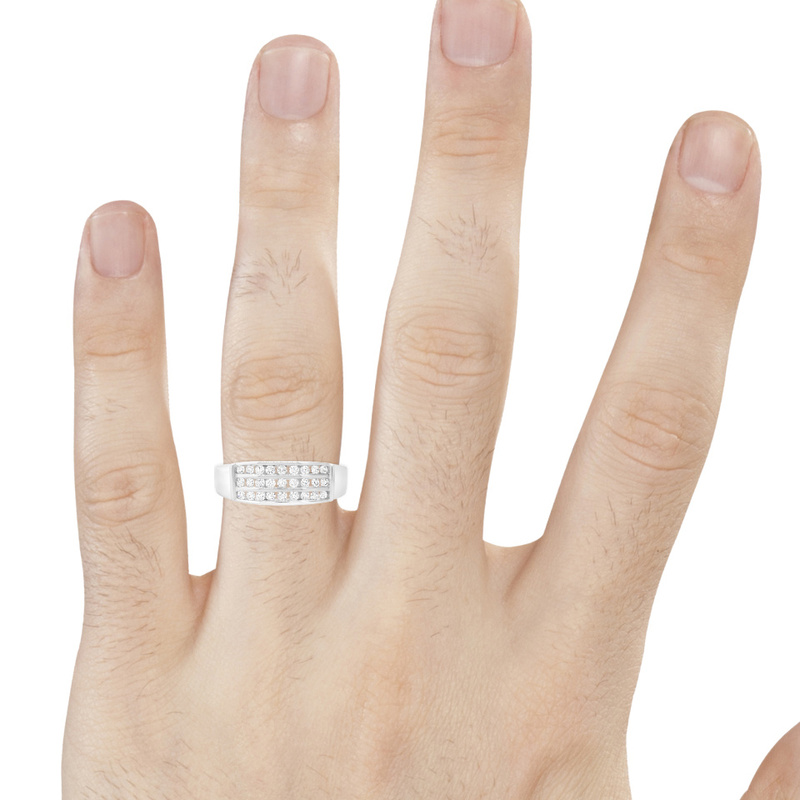 A modern style featuring the top surfaces of a band going along either side of the diamond center stone, without intersecting. 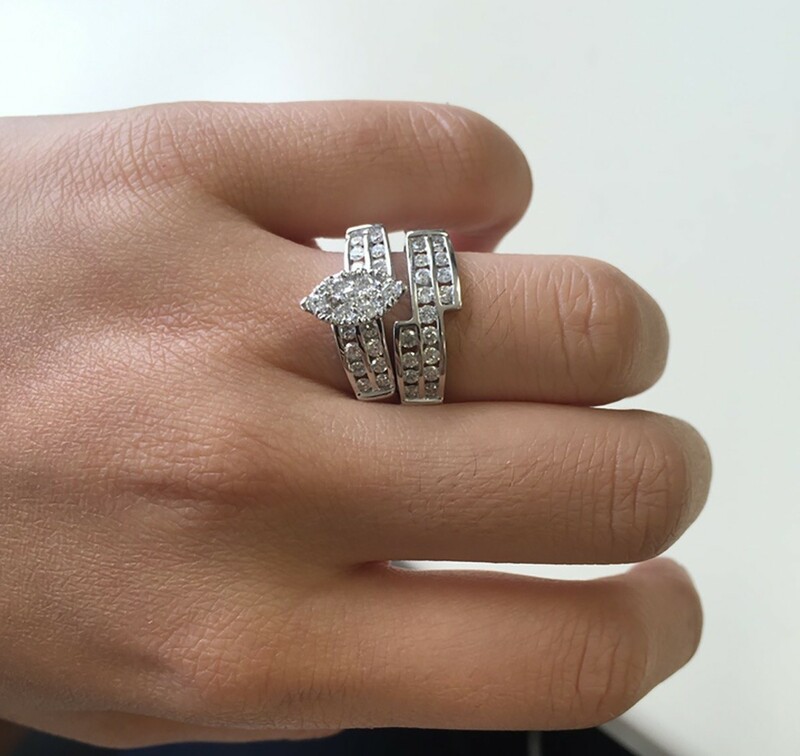 This stunning collection is full of real diamonds against a backdrop of glistening 10K White gold. 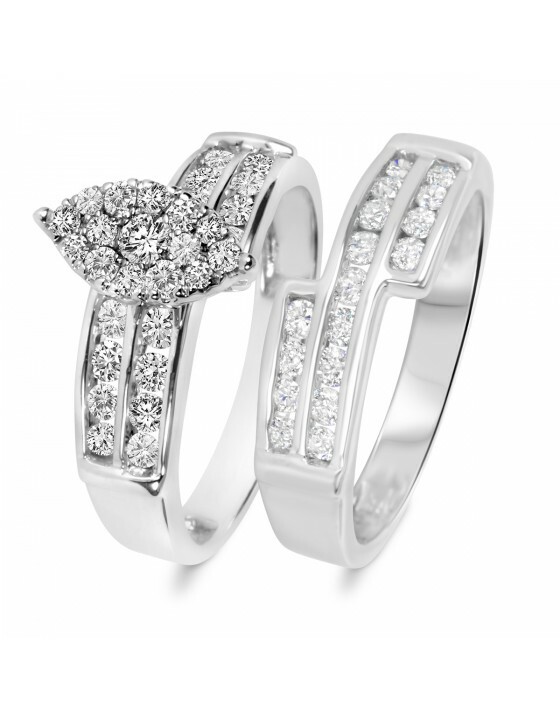 It includes 75 conflict free diamonds between the his and hers wedding rings and the engagement ring. Each band features rows of real radiant diamonds, creating a show-stopping effect that will show the world your commitment. This glamorous Engagement Ring features a unique effect that looks like it moves in a diagonal direction. 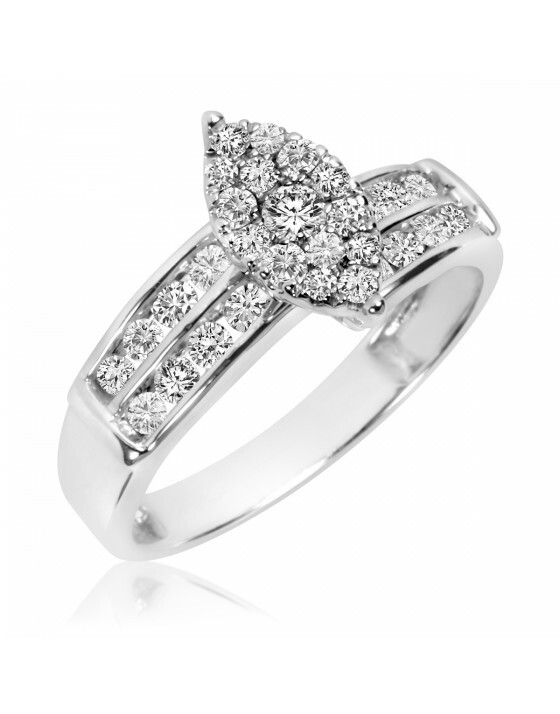 It features half a row of diamonds on the top left and bottom right, with a full row of diamonds in the middle for the illusion of diamonds swirling around your finger. In the center, you’ll find an extravagant marquise cluster filled with more round diamonds. 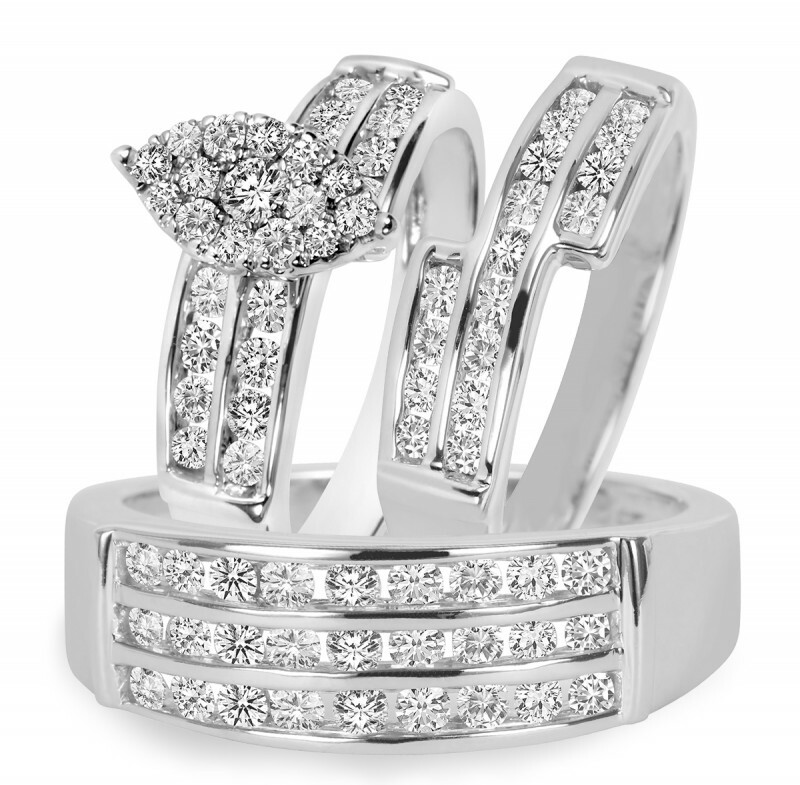 This ring holds 31 round diamonds within its 10K White Gold band. 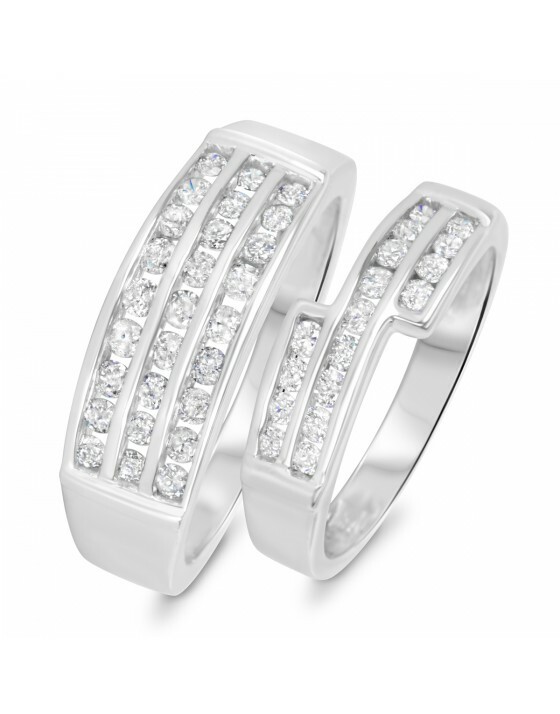 The wedding band in this bridal set has the same style as the band on the engagement ring, with the look of diamond-filled lines swirling around the finger. 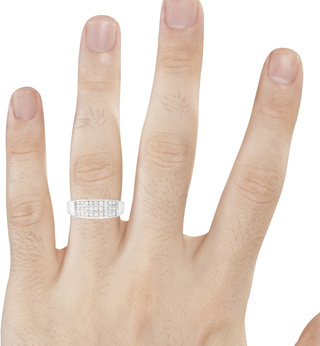 The angled band connects to the engagement ring to be worn together. 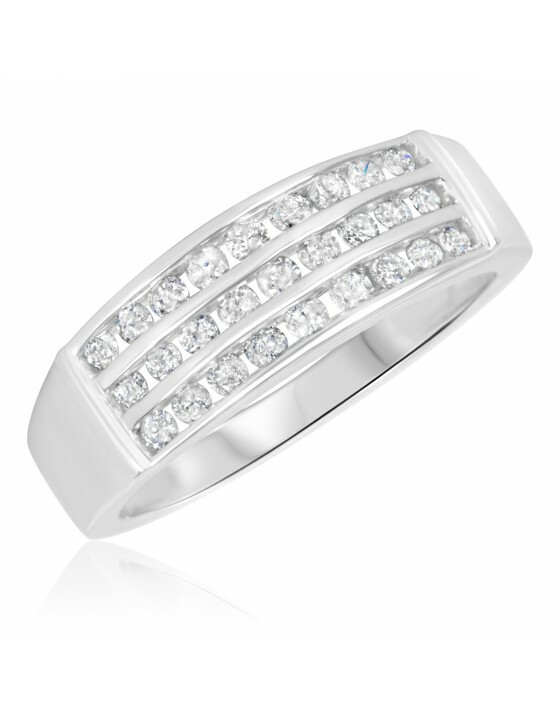 This ring includes 17 diamonds in a 10K White Gold band. This men's band is perfect for the man who likes to show off some bling. It shimmers with 27 real diamonds set into three parallel rows along the front of the band, totaling 3/4 carat. 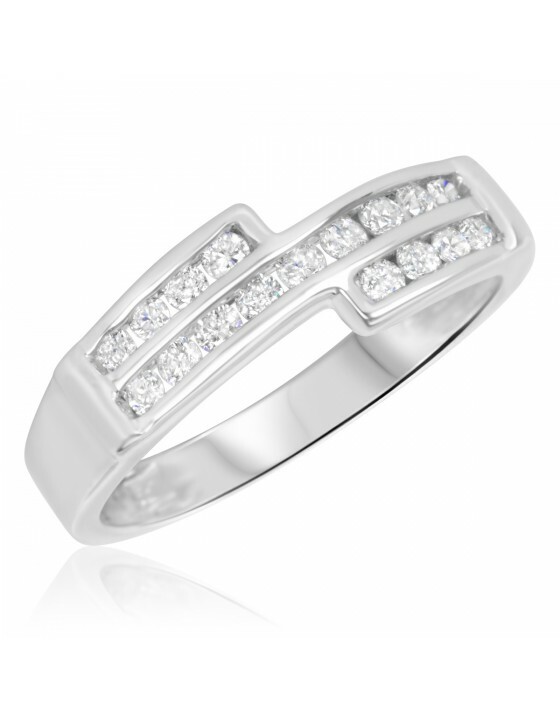 This prominent 7.5mm wide band is crafted of polished 10K White gold. I so, LOVE my rings. there more beatiful than i expected.they arrive on time. i especially like the NO _ Fee layawy. thank you mytrio ring for making my planning easier. We received our rings in a timely manner. The diamonds were superb. I can't help but to stare at my fiance's rings they are so beautiful especially when the light hits them. I will recommend your rings to anyone. Love the layaway plan. I just love everything about your rings keep up the good quality of diamonds. Customer for life.